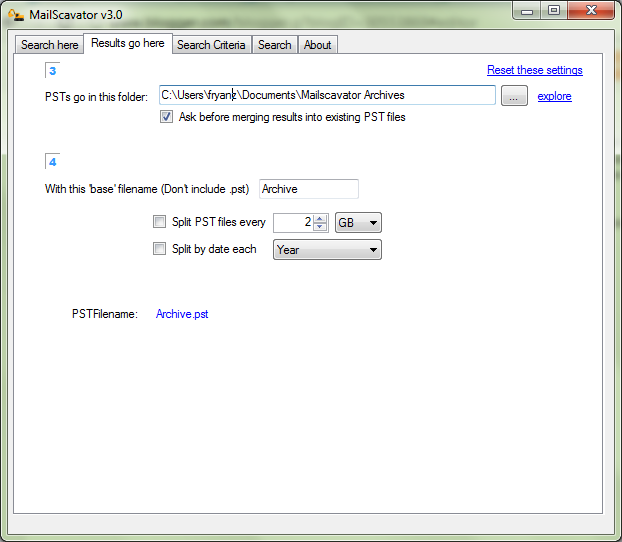 Then go to "Results go here" tab to specify the PST folder where the output files will be stored (step3). Step 4, is to specify the filename convention you want the app to use. Step 5 is to apply filters by going to "Search Criteria" tab. 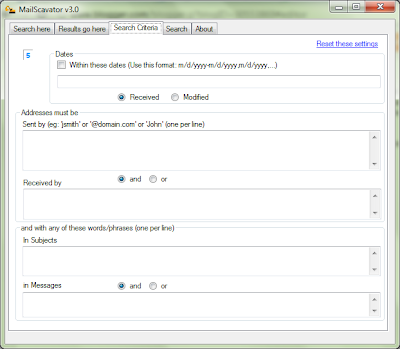 You can filter by date, addresses, subject and message content. Lastly, head over to Search tab. 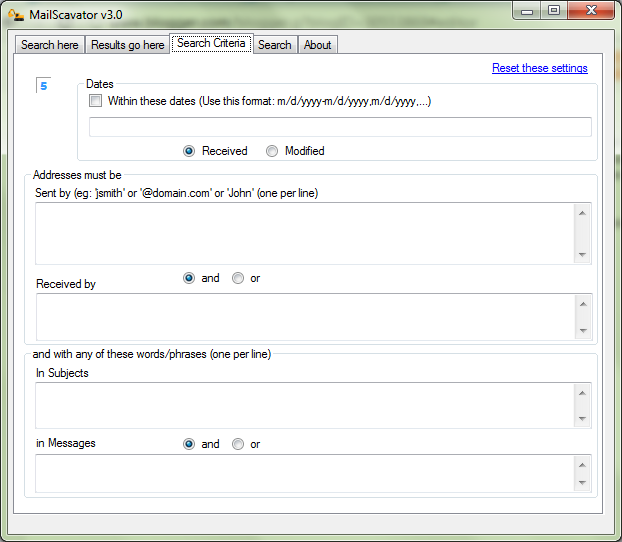 Choose the type of operation you want MailScavator to perform. When your done, click Start to begin the splitting process. After the process, you may see more than one PST file in your output folder depending on the search criteria you specified. MailScavator was successfully tested on MS Office 2010 running on Windows 7, 32-bit version. There are an other affordable and cost effective tool also available in online, just like this third party tool http://www.undeletepcfiles.com/split-pst-file.html/ to easily resolve your all problem without any error. I would like to suggest you to try this user-friendly tool as well known Split pst tool that enables the user to split PST file according to any selected criterion within few minutes. This software is also supported by all versions of MS Outlook and all Windows OS Platforms. User can get more information, visit here:- http://www.recoverydeletedfiles.com/split-pst-tool.html/"
Get Split Pst File Tool that can split large PST files to smaller PST files that are independent from each other. These small PST files contain the same files that are in the original PST file. And In case, you are using either Outlook 2002 or the earlier versions, if the storage capacity reached or exceeds 2 GB, it becomes the requirement to break PST file for better performance. Just read the blog http://outlookpsttools.blogspot.com/2014/05/tips-to-break-or-divide-oversized.html and know easy guideline how to reduce the Outlook PST file according to date, year, size, sender's email and folder basis. Get Stellar Phoenix Split PST Tool – Split Large Files into Small Ones. The split PST files can be smaller than 200 MB and larger up to 2 GB. You can split the existing PST file at any time you feel it is exceeding its limit. You can split it into any of your desired sizes to avoid the problems of corruption in future. You can go for http://www.pstsplitter.net and download Kernel for PST Split tool to easiest way to split large size outlook PST file into small pieces according to date, sender’s email ID, size, selected folders based.
. 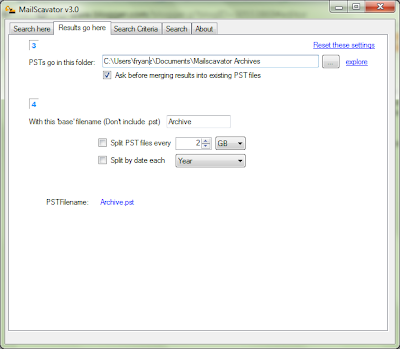 I would like to recommend you Split PST Tool to split large PST files into smaller PST's by date, year, folder and size. 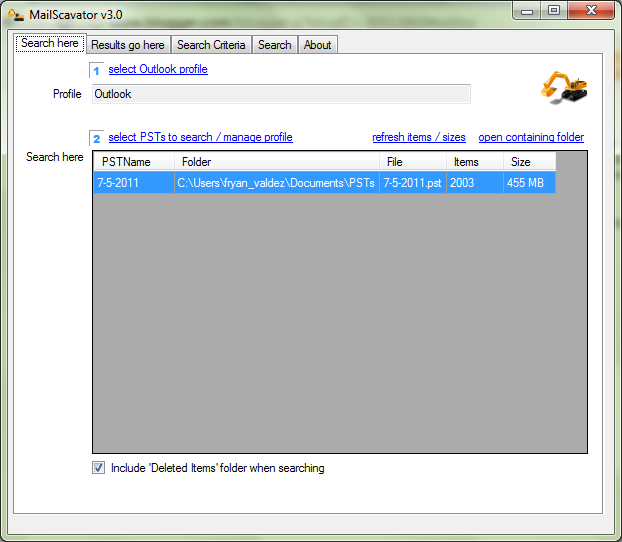 The Split Outlook PST software is capable to split both ANSI and UNICODE format Outlook PST File. The tool supports Microsoft Outlook 2013, 2010, 2007 and all below version. You can use archive option to split large PST file into smaller parts. 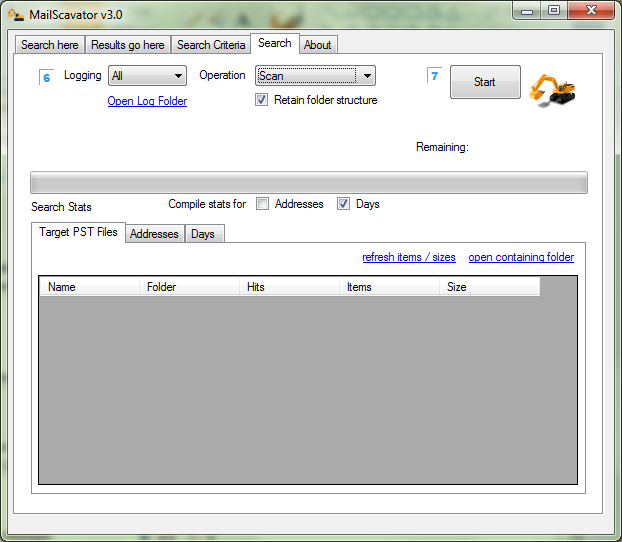 By using this option, you can easily create multiple PST files free of cost.